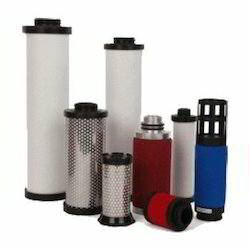 Prominent & Leading Manufacturer from Vapi, we offer replacements filter elements. We are instrumental in offering supreme quality Replacements Filter Elements to our valuable patrons. Used for various air drying applications, these products are highly demanded in the market. For manufacturing these refrigerated air dryers in compliance with the industry set norms, the latest tools are used. Looking for Replacements Filter Elements ?